Have you ever wondered how an open-world flooded Hyrule would look like if Nintendo ever made a game for it? 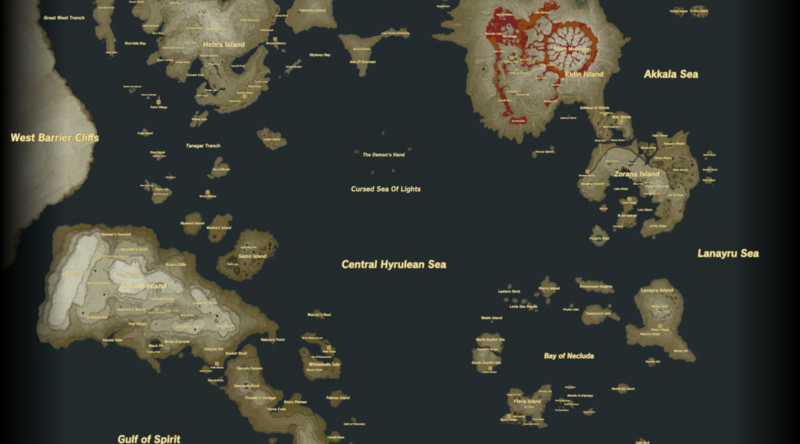 Redditor BennettF has created a map envisioning how a flooded Hyrule may look like in The Legend of Zelda: Breath of the Wild. Only the peaks and mountains have survived, and new villages have been built. Some locations have even been renamed! This really makes me wish for an open-world style Wind Waker game. Make it happen Nintendo! Take a look at the full map in all of its glory here. It’s 12000 pixels long, so make sure you’re on wi-fi before viewing the full image!